So, this happened. 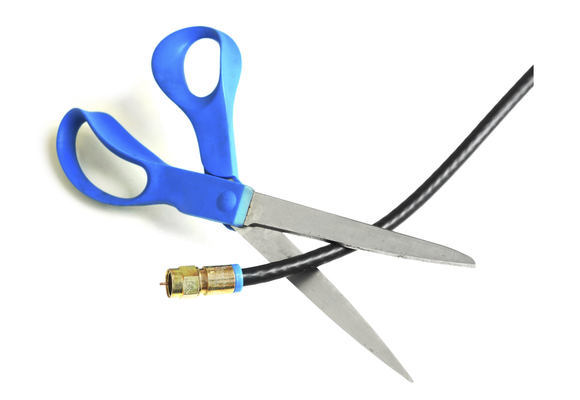 A reporter from The New York Times tried cord-cutting and didn’t like it. It took a few days for me to read through all my e-mails and I want to thank all of you who tipped me off about this story, and so on behalf of cord-cutting, I want to respond. The article’s a bit of a long read for anyone under 35, so I’ll summarize. Brian Chen tried Playstation Vue and Sling TV and decided they were just too much hassle when compared to traditional cable. The channel selection was too slim, the interface too funky, the remote too hard to use. So, he decided unilaterally that cord-cutting wasn’t for him. I don’t think Mr. Chen gave cord-cutting, real cord-cutting, a chance. I’ll freely admit that Playstation Vue is a bit of a compromise. After all you’re trying to get something like the TV experience through a video game box. Certainly the video game hardware is up to the challenge; it’s probably up to the challenge of global thermonuclear war if it wants to be. But I completely agree that using a video game controller to try to browse channels can be a little confusing especially if you’re expecting something like a TV remote. Mr. Chen admits that Sony does sell a real TV remote but he didn’t use it. Yes, and I’ll admit that Sling TV is still having teething pains at this point. Any streaming service is going to be somewhat dependent on the internet service provider for a clean, live stream and live TV can’t preload the same way that Netflix or Hulu can. At least, it can’t do that and be live. But also, even though I’m a fan of Sling TV I admit that there have been some bumps in the road on several platforms. It’s a great idea and (for the moment) far more fleshed out than Playstation Vue but it’s not… there… yet. Where Mr. Chen went wrong, of course, is that he didn’t use a tried-and-true, simple method for getting live TV channels that doesn’t cost a dime. Mr. Chen could have used our free antenna recommendation service to determine what antenna would work best in his area and probably would have found one that cost less than two months of those streaming services, with nothing else to buy, ever. You see, the big flaw in the experiment Mr. Chen tried is that he got caught up in the hype of these live TV streaming services. In my opinion, these are a great second choice if you don’t have the ability to use an antenna, or if you’re not interested in sitting in front of a real TV, but getting the real TV experience doesn’t require an internet connection or subscription. For close to 100 years now, the US government has affirmed that we all have the right to get live broadcasts over the air… for free. Mr. Chen didn’t even consider the very simple option of just putting up an antenna and watching. Of course Mr. Chen does point out that there are going to be channels, notably ESPN, that aren’t available from an antenna. I’m not denying that at all. If you want ESPN, your choices boil down to cable, satellite, something like Sling TV, and (let’s be honest) stealing a WatchESPN password from your friends or parents. By the way I don’t recommend that last one. Still, even if you really must have ESPN that doesn’t stop you from putting up an antenna and having a superior live TV experience on dozens of other channels. Why not do both? So, now really I have to decide, should I simply send Mr. Chen an antenna to thank him for the impetus to write this article, or should I just suggest that he shop for the one that’s best for him at SolidSignal.com?